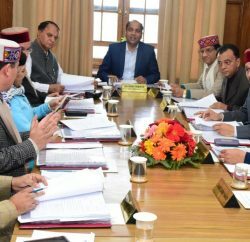 Himachal Pradesh cabinet granted approval to create 18 posts of various categories in the directorate of Health Safety and Regulation. These includes 2 posts of Assistant Drug Controller, 1 post of Superintendent Grade-II, 3 posts of Senior Assistant, 6 posts of Drug Inspectors and 6 posts of clerks. Cabinet approved 8 posts of various categories for newly created Tehsil at Ispur in Una district. Cabinet also decide to grant 4-tier pay scales to H.P State Forest Services prospectively on the analogy of Punjab pay scales based on the recommendations of the 5th Punjab Pay Commission. 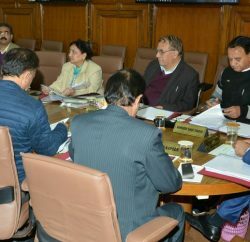 Himachal Cabinet also gave its approval to give one time relaxation in Recruitment and Promotion Rules for the post of Radiographer, Lab Assistant/Lab Technician and Pharamacist. Educational qualification will be taken as matriculation for filling these posts.